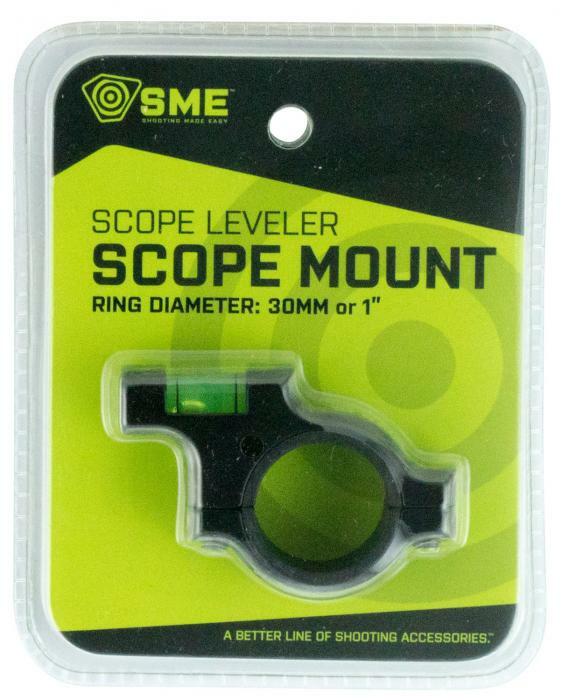 SME's Scope Leveler Scope Mount helps keep your rifle perfectly vertical for accurate long range shooting and allows for the most precise shooting possible. It is constructed of anodized aircraft aluminum alloy with a high-visibility anti-cant device level indicator. The leveler mounts quickly and easily on 25.4mm (with included polymer insert) or 30mm scope tubes. Included is a hex wrench for mounting.